Musicians and concert presenters are struggling around the world to find new ways to present non-commercialized programs in order to inspire, educate and increase their audiences. Turkey is fortunate to have inherited a great number of potential concert locations that illuminate a rich multi-cultural fabric as well as supply the imagination with bridges to the past. 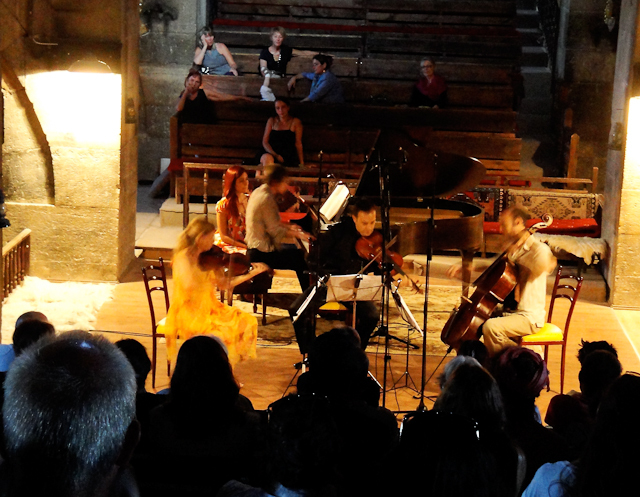 Taking advantage of these beautiful settings by presenting chamber music concerts and workshops can inspire different ways of listening and infect a new generation of classical music lovers. Below are a list of questions and answers that serve to describe the nature of this project. To integrate local populations with visitors in non-commercial ways. Why outside the large concert hall and in historical settings? Unlike large-scale operatic and symphonic performance venues, chamber music performances have historically been more suited to smaller and more intimate venues, and much of this literature was first performed in private salons and homes. By offering chamber music performances in settings resembling these, the audience can more readily gain an intimate and direct experience of the subtlety and emotional detail of this repertoire, which often exhibit composers’ most important and profound creations. 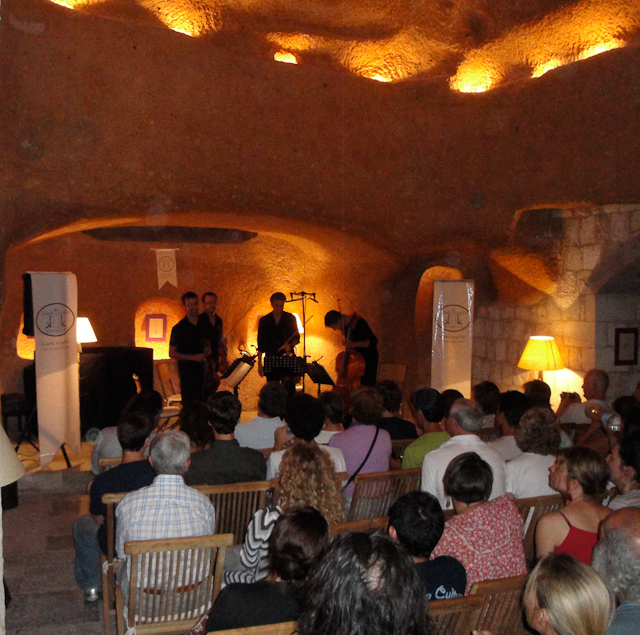 The act of sharing music in such compelling historical settings cannot be underestimated. Music is a mirror of time and place as well as of human emotion and intelligence. Being surrounded by the historical, fragmented remains that can be seen throughout Turkey requires the observer to fill in the gaps with his/her own imagination. 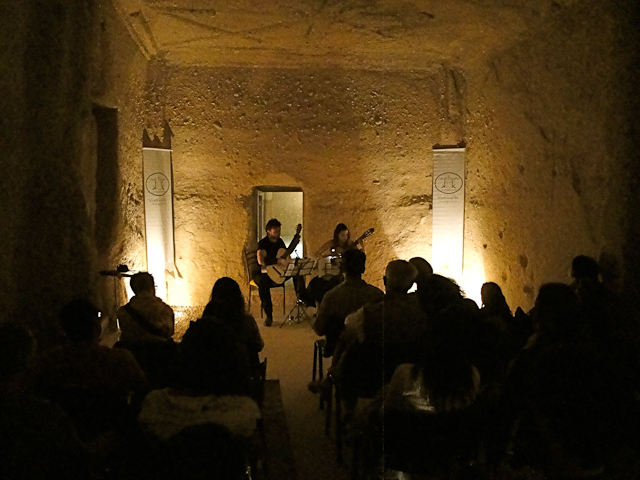 Presenting concerts in the context of these historical settings can stimulate the listener to use this same kind of imagination to comprehend this abstract music and transport the listener beyond every-day experiences. By pairing our ancient history with our recent history of the last 350 years spoken through the language of music, the observer/listener is reminded of the social responsibility to cherish and protect all of our antiquities including the art of performing music outside our own time and place. This is of course important in every field within our current culture. But chamber music differs from other classical music genres in the fact that all the players have an equal voice; there is no conductor and no soloist that is set apart from the others receiving a higher fee. It is important that audiences be exposed to this sophisticated, egalitarian, non-verbal and universal form of art and performance. It is important for musicians originating from different schools of education, different generations and different cultural backgrounds to share interpretations and join together to present something new and fresh. It is also important for musicians to build a network of international contacts that help to maintain their careers. Why is it important to have local participation and why does this project make it easier for local communities to get involved? 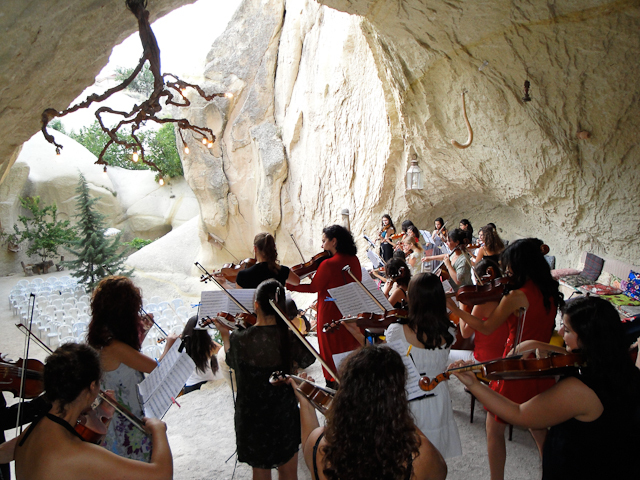 Often classical music performances in these areas have been organized from outside the community. Even though this is vitally important, it is also important that communities connect personally to the organizational process through their own individual participation, which will hopefully encourage more personal participation in the performances themselves. It is also important to build networks of local fund-raisers and volunteers who know the needs of their community as well as the individuals and businesses likely to financially support such a project. 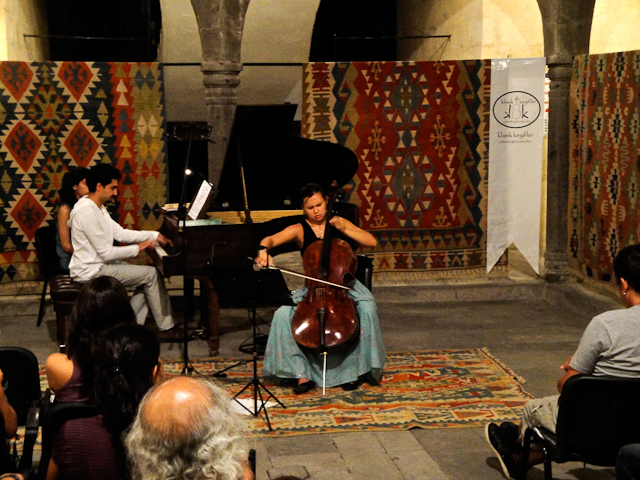 It can be very difficult for small communities outside the large metropolitan centers to assemble coherent classical chamber music programs and to contact musicians from Turkey and especially from abroad. Also the initial costs and time involved with program printing and advertisement can be high. By offering pre-set programs as well as printing the programs for the entire season in one booklet (like the concept of a franchise), this project can offer a head start for successful realization. Why is it important to keep ticket prices low? If we want to draw in new audiences, the price should be similar to other forms of common entertainment like movies. Why can this project help to integrate local populations with visitors? In these areas, there are not a lot of opportunities to interact outside the “client/patron” model exemplified by the patronage of the restaurants, hotel and shops except at bars or discos. Sharing the experience of these intricate and emotional musical compositions within a casual and intimate environment can create a platform for discussions of a wide variety of subjects. Violinist, Ellen Jewett is a renowned chamber musician and has numerous contacts with musicians around the world. During her 30-year career, she has performed in a wide variety of concert venues and festivals and has strong ideas in terms of what works and what doesn’t. 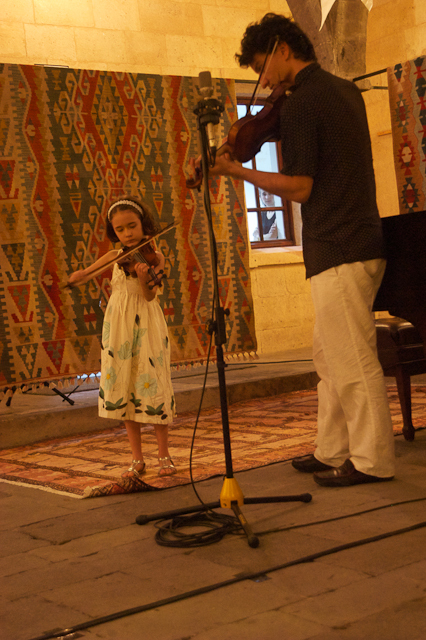 Through her association as one of the head violinists with Borusan Orchestra, she has personal contacts with some of the best players in Turkey. Professional guide, Husam Suleymangil has worked for 30 years in the tourist sector guiding for archeological projects, film crews, educational, family and business tours throughout Turkey. He has long-term relationships with a wide variety of hotels, restaurants and businesses, and through his involvement with a great number of projects, gained valuable bureaucratic wisdom. This enables him to make the necessary contacts with individuals and organizations interested in supporting this project. The project is organized for whom? 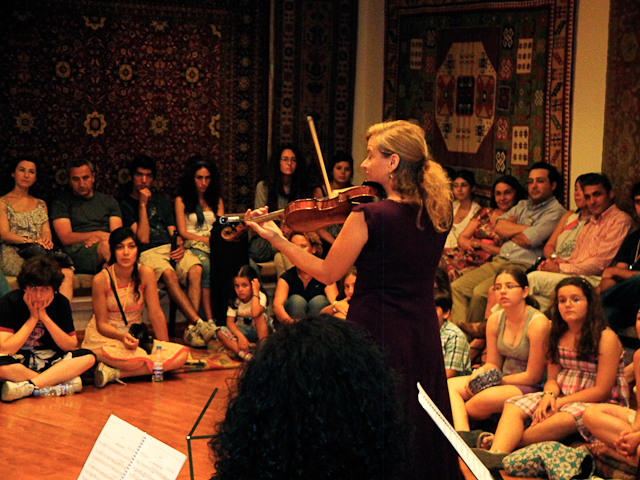 Tourists eager to share in the culture of classical music and looking for a change from the current rich offerings of jazz, pop and Turkish music. To provide concert opportunities for young artists in order to gain experience performing the standards of the chamber music repertoire while at the same time offering chances to work with new musicians and members of these different local communities.